Beat The Street offers fitness and fundamental boxing training at levels appropriate for members of all ages. Fitness activities can include exercise, running and weight training. In addition to teaching Olympic style boxing, this program promotes habits that can help members to maintain physical fitness for the rest of their lives. All boxing activities are non-contact. Members who develop the necessary skills may advance to the Silver City Boxing Club for contact, Olympic style boxing. Membership requires licensing and insurance provided through USA Boxing, the governing body for amateur boxing in the United States. Team members participate in competitions throughout New England. The Beat the Street Dance Crew is a group boys and girls that come together Monday thru Thurs from 5:30 to 6:30 pm. to dance and have fun. 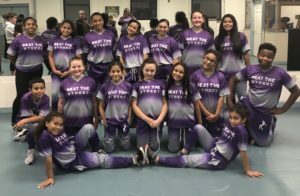 Head Coach Kris Whitehead and Coach Dianna Fisher lead the dancers to new heights by teaching lessons they can use on and off the dance floor. The Beat The Street dance crew performs in shows all over New England, for residents of local nursing homes, and at community events. Working on dance skills and preparing for upcoming performances builds discipline and enhances members’ confidence and self-esteem. The Career Explorer program makes members aware of a wide variety of career options, with a continuous emphasis on education as the key that opens the door to broader career opportunities. 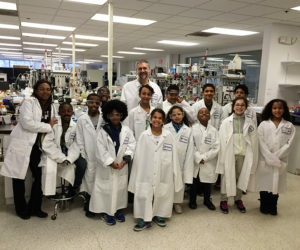 Educational field trips to numerous local businesses enable participants to investigate various career paths and options in live work settings. 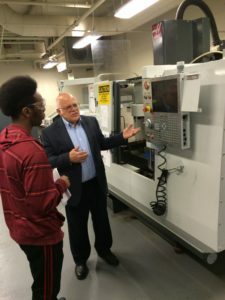 Careers and industries explored in field trips include manufacturing, agriculture, military, government, research, health care, emergency services, education, engineering, media relations, public utilities, trade unions, financial service and related industries. 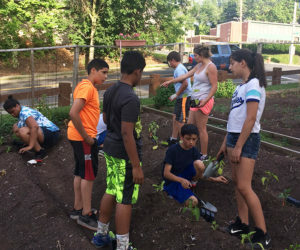 Each year, staff and teen members develop a community gardening plan. Volunteers perform all work in the garden, from planting and daily maintenance, through to harvesting the crop, which is distributed to our members and their families. The program includes instruction on the nutritional value of fruits and vegetables, and how to prepare the produce from our garden. This program helps members develop planning skills; supports teamwork, self-reliance, responsibility and regular work habits; gives members the satisfaction of growing food that their own families will enjoy; and helps them to make better nutritional choices in the future. Beat The Street’s Career Development Program supports members 14 and older in establishing educational and career goals, and developing plans to achieve those goals. Specific issues addressed by the program include career choices, preparing for college or vocational training, selecting a school, the application process, financial aid options, getting back to school after a hiatus, and overcoming obstacles that are impeding members from completing their education. The Career Development program utilizes individual mentoring, group informational seminars, job tracking, and field trips to educational institutions. When appropriate, members are referred to other agencies for the information or support that they need. Today, there are BTS members who are finishing high school, going to college and preparing for good careers as a direct result of this program.